Just 15 days after the delivery of Costa Venezia, the first Costa ship designed specifically for Chinese market, the float-out of Costa Smeralda marks another major milestone for Costa Cruises. Costa Smeralda will launch in October 2019 as the Italian cruise line’s first ship powered by liquefied natural gas. 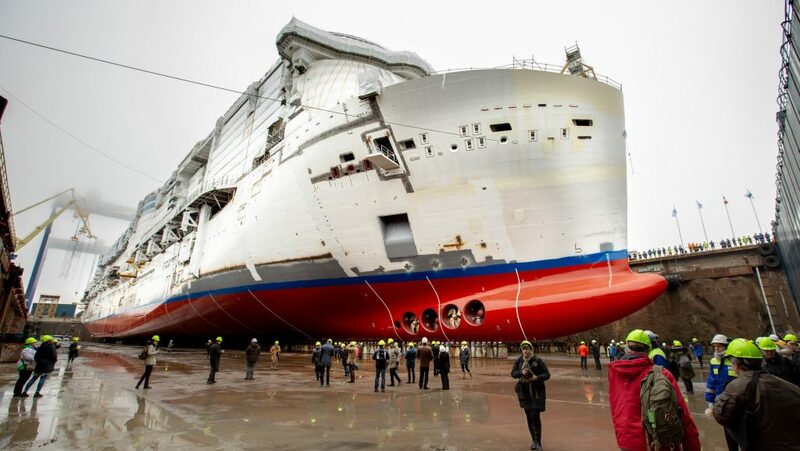 Costa Cruises has celebrated the official float-out ceremony of its new ship, Costa Smeralda, at the Meyer shipyard in Turku, Finland. As part of today’s float-out ceremony, the new Costa flagship officially reached the sea for the first time. 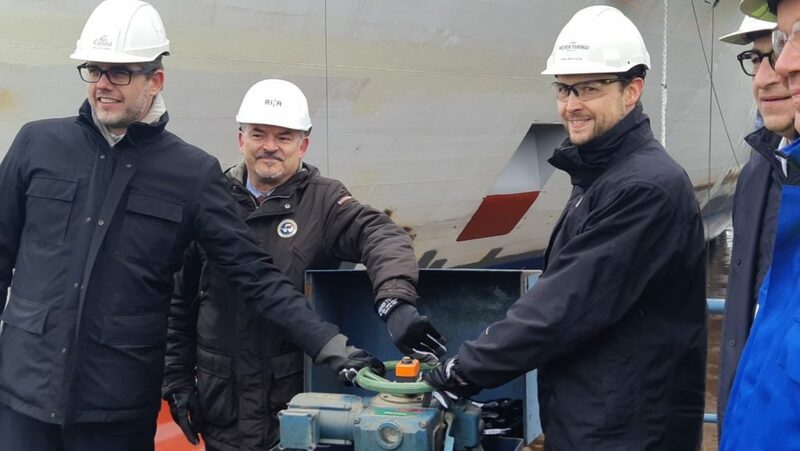 The celebration, hosted by the senior management of Costa Cruises and Meyer Turku, followed the seafaring tradition of flooding the basin where the ship’s construction has been taking shape over the recent months. With her name, Costa Smeralda, referring to one of the most beautiful tourist destinations in Sardinia (Emerald Coast), Costa Cruises’ new flagship will be unique in terms of innovative design and on-board services and will pay tribute to the many things about Italy that people around the world love and appreciate. Featuring over 2,600 staterooms, Costa Smeralda will take guests on a veritable “tour of Italy,” with lots of areas devoted to fun, flavours and festivity. The ship will feature 11 restaurants, 19 bars, an amazing spa area with 16 treatment rooms, a water park with slides, four swimming pools and an area fully dedicated to kids. Costa Smeralda will also have her very own Costa Desing Museum, “The CoDe,” dedicated to the excellence of Italian design. Delivery of a second vessel, the sistership of Costa Smeralda, also built by Meyer-Turku, is expected in 2021. In total, the Costa Group has 28 ships in service, which equates to more than 85,000 beds. The fleet will be further strengthened by five new vessels by 2023, including two for Costa Cruises, one for Costa Asia and two for Germany-based AIDA Cruises. Once the new ships have entered service, the Costa Group’s capacity will have increased by over 50 percent to meet rising consumer demand for cruising over the next several years. The Costa Smeralda christening ceremony will be celebrated in grand style in Savona on November 3, 2019. The six-day inaugural cruise will depart from Savona on November 4, 2019, and sail to Barcelona, Marseilles and Civitavecchia (Rome). Costa Smeralda will then continue to sail around the Western Mediterranean until April 2021, offering one-week cruises including Savona, Marseille, Barcelona, Palma de Mallorca, Civitavecchia/Rome and La Spezia. For more information and bookings on Costa Smeralda visit Costa Cruises.